This is a 35 ft Wiring harness for replacing your old or worn out harness on your Boat Trailer. This is a standard 5 Flat Harness with a White Ground Wire. 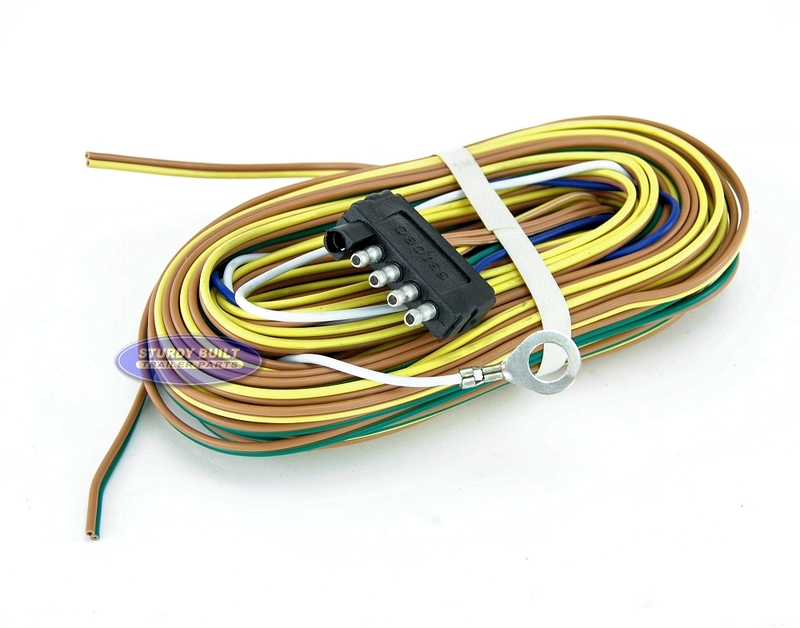 This Harness uses the standard White, Green, Yellow, Blue and Brown Wires to successfully connect to your side-marker, tail lights, and brake wire. The Functions of these wires are as follows: White ( Ground Wire), Green ( Right Turn), Yellow ( Left Turn), and the Brown Wires Operate the Left and Right Running Lights. The Blue wire would run to your Reverse Lockout Solenoid when operating disc brakes. We carry this 35 ft length of trailer wiring for longer trailers and for customers desiring to wire their trailer lights directly up their guide poles. 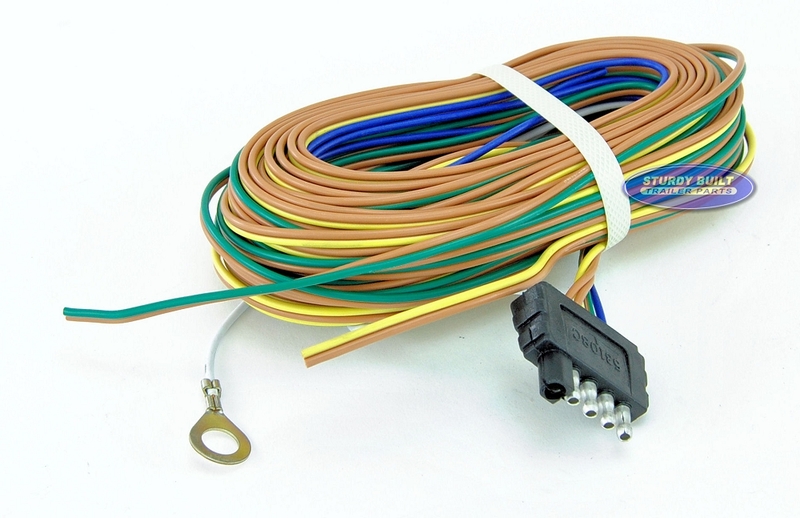 This wiring harness is most common on Boat Trailers operating trailer disc brakes as well. Each wire is 35 ft long, except for the white ground wire and blue brake wire, which are designed to mount on the trailer tongue and reverse solenoid. This is a 'wishbone' style harness. It sends (1) brown wire, and (1) yellow wire down the left side of your trailer frame, and (1) brown wire and (1) green wire down the right side of your trailer frame. 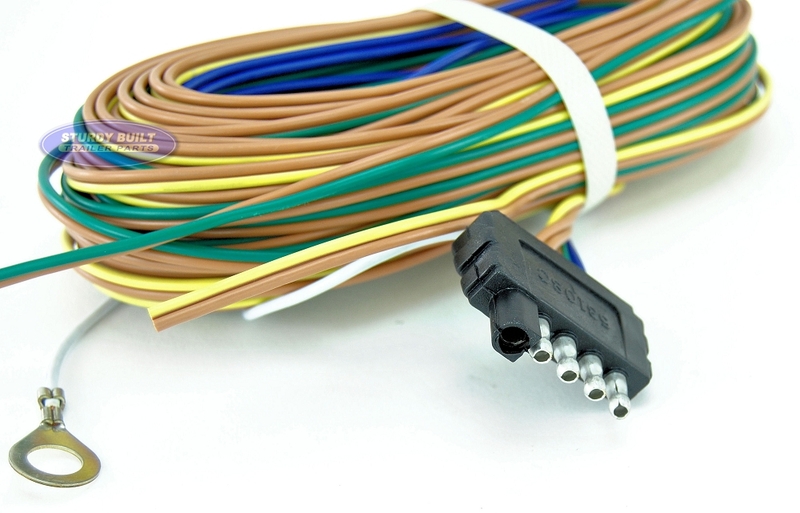 This wiring harness makes it very easy and convenient to re-wire a boat trailer and takes very little time.